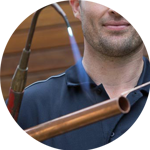 The Handy Squad have a team of efficient and reliable Plumbers in Richmond. This means no matter where you are in the area, we will be able to reach you within minutes. We offer full flexibility over appointments and provide a customer-centric approach with everyone we work for. 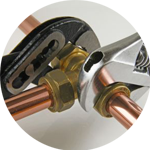 We offer an extensive range of plumbing services that are applicable to both domestic and commercial buildings. 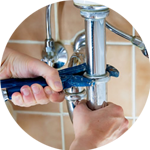 Your Plumber in Richmond will be able to draw on over ten years-worth of proven experience to ensure any task is completed within suitable time-frames and at fair prices. Your Richmond Plumber will be able to offer assistance with any general plumbing issues that relates to: replacements, unblocking, installations and repairs. They can also provide support with any specialised plumbing tasks, such as leaky taps, waste disposal unit installation and anything related to white goods appliances. Richmond is a suburban town in the south-west region of London. 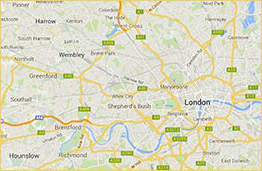 Notable landmarks include Richmond Green, Richmond Park and the Richmond Theatre. 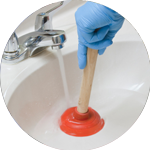 We don’t just stop with London Plumbing at The Handy Squad. We have a multitude of dedicated trade teams to ensure we are the go to place for anything related to DIY and home maintenance. We have fully-qualified teams for: decorating, carpentry, home makeovers and locksmiths. If you’re looking for people with a rounded knowledge of all trades, you will need to get hold of one of our Handymen in Richmond. They have the expertise and experience to carry out things like flat pack furniture assembly and bathroom tiling. Finally, we have an Electrician in Richmond to take care of intricate and technical issues related to electrics. It is vitally important that only reliable and qualified people undertake electrical tasks in order to ensure a safe and secure level of completion.